Philadelphia Theatre Company will kick off the new year welcoming one of the greatest living American musical theatre composers to the stage at the Suzanne Roberts Theatre. For one-night only, Jason Robert Brown will perform an intimate solo concert on Saturday, January 26, 2019 at 7 p.m. Brown will include stories about his collaboration with Marsha Norman on the sweeping musical version of the best-selling novel, “The Bridges of Madison County“, and perform songs from the Tony Award-winning musical, which won Best Score and Best Orchestrations. In addition, Brown will include performances by actors Sarah Gliko and Gregg Goodbrod, who lead the upcoming PTC production of the musical. He will also preview songs from his new album “How We React and How We Recover.” Tickets cost $25-$50 and are available at the box office, online at philatheatreco.org or by phone at 215-985-0420. Philadelphia Theatre Company’s stage at the Suzanne Roberts Theatre is located at 480 S. Broad Street. PTC’s production of The Bridges of Madison County runs February 8-March 3, 2019. In this unique performance/conversation, three time Tony Award-winning composer and lyricist Jason Robert Brown discusses the process of bringing the Bridges of Madison County to Broadway along with performing songs from the score alongside the stars of PTC’s production. He will also perform songs from his new album How We React and How We Recover. Jason Robert Brown is the three-time Tony Award-winning composer and lyricist of Songs for a New World (1995), Parade (1998), The Last Five Years (2002), 13 (2008), The Bridges of Madison County (2013) and Honeymoon In Vegas (2014). His shows are regularly performed on stages across the world, and his songs are regularly heard on television, film and recordings. Jason has recorded several albums, featuring his band The Caucasian Rhythm Kings, and is much in demand as a pianist, singer and conductor. He lives in New York City with his wife, Georgia Stitt, and his two daughters. 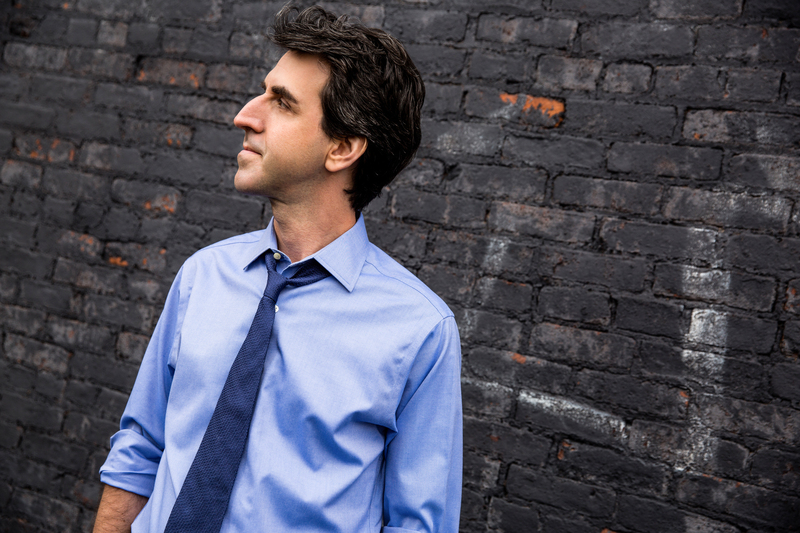 How We React and How We Recover is Jason Robert Brown’s first solo recording in over a decade. It is a politically-charged, far-reaching rumination on love, family and music. How We React and How We Recover is partly a response to our fraught political climate, part portrait of an evolving contemporary artist, and it is Brown’s definitive interpretation of his own compositions, pregnant with emotion, capacious musical energy and symphonic sweep. Single tickets for The Bridges of Madison County are on sale now for $25-$69 with discounts available for groups, seniors, students, industry, and the military. In addition to Bridges, the season also includes Christina Anderson’s How To Catch Creation from March 22-April 14. For additional information, tickets or subscriptions, please visit philatheatreco.org or call 215-985-0420. Founded in 1974, PTC has presented 143 world and Philadelphia premieres. More than 50 percent of PTC’s world premieres have moved on to New York and other major cities, helping to earn Philadelphia a national reputation as a hub for new play development. PTC has received more than 180 nominations and 53 awards from the Barrymore Awards for Excellence in Theatre. In 2007, PTC was instrumental in expanding Philadelphia’s thriving cultural corridor by opening the Suzanne Roberts Theatre on the Avenue of the Arts.